At PG tips, we have been making a quality tasting cuppa for 85 years. When it comes to tea, we know our stuff and that’s why PG tips is Britain’s No.1 tea brand. Our Pyramid® tea bags let our tea roam free. They act as a mini teapot allowing our finest tea leaves room to move and infuse to give you a great tasting cuppa, time after time. It's pyramid perfection. But wait there’s more, we have lots of other tasty brews for you to try. Want to cut the caffeine? Try our new Tasty Decaf tea blend which has a rich, rounded taste. Dairy-Free? Try our Perfect with Dairy-Free teabags which are specially blended for dairy alternatives. Like a strong tea? Make our Extra Strong tea bags your new everyday tea! Or indulge in something extra special with our delicious Gold blend - which is no ordinary tea! 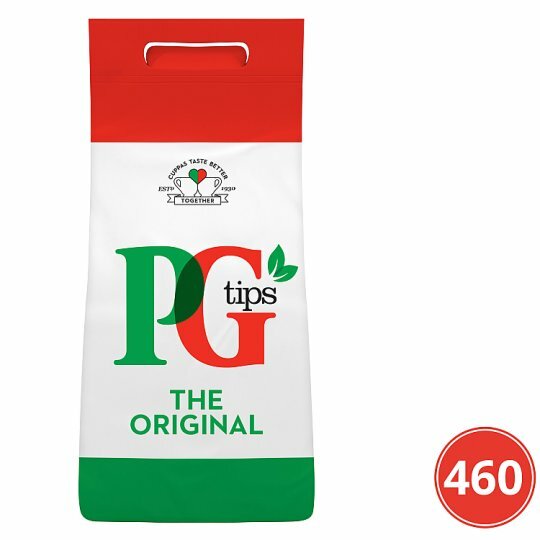 Whether it’s a morning wake up or a bedtime brew, the taste of PG tips is sure to hit the spot when you need it most! To brew the perfect cuppa, pop your Pyramid® tea bag in hot water. Let the flavour infuse for 1 – 2 minutes, add milk and sugar if preferred, then enjoy!